Oil is not a fossil fuel?! Labels: Oil is not a fossil fuel? Years ago, I remember someone say that most students of knowledge were wasting their time studying in Syria. The students were merely 'hanging out' with the scholars and not actually studying. This came as a shock to many people including myself. Now, the doors of Syria are closed the students go to Yemen. Not only are the same problems coming to the fore but it is worse, because they are taking advantage of Ahl Al-Bayt. Studying is not for the barakah of it. The main problem is that the student of knowledge, who studies for a few years, thinks he knows it all. Then he begins to call people deviants because he does not look beyond his own opinion. There are many things that have a valid difference of opinion. Therefore, if someone has a narrow mind, then they cannot be a student of knowledge. Do not except anything from him but a narrow-minded opinion! I met someone who had studied in Tarim, Yemen but was ready to insult and slander members of the Ahl Al-Bayt. He displayed aggression and insults to them, as something normal that you should aim towards Ahl Al-Bayt. Even though he had been studying in Yemen with the same people! Another instance was when a student knowledge opposed something then called everyone deviants when there was a clear difference opinion. Another instance was someone studying for years without studying a single book of belief! Another example was a Dars Nizami student was asking about the basics of wudu when he was studying Usul Al-Fiqh. He had been studying for five years at that point. This is not only shocking but its proof that they are not studying the correct system or the correct manners. Students of knowledge who take on knowledge without action are part of the problem. Only those scholars who act upon their knowledge are blessed everyone else are part of the problem. Many students are unfortunately not intelligent people and in most cases they are those who are forwarded to speak. Sacred knowledge should be for those who are intelligent but in any case, their intelligence should grow with knowledge and not narrow. Thinking that one has reached knowledge after studying for three, four or five years then one is sadly mistaken. Just because one has access to the books of another school does not give you license to access other opinions of other madhabs, then spread this knowledge! Send them to the experts of those schools or else you seek to expose yourself to the sins of others. You do not know what is the reliable opinion and picking something out of a book is like what a wahabi does. You will be surprised how many Sunni's do this Wahabism! To comment on a subject, one must know that the major opinions of that subject. Which ones are reliable and which ones are not. Rather than, my school has this opinion and who cares about anyone else's opinion. Many times, have I seen junior students being narrow minded, how could this be? A student of knowledge must have an open mind and not be narrow-minded. If he does this then he has failed to knowledge and wisdom. Knowledge is about acting not merely information. Wisdom is about knowing when to speak, to remain silent and when to apply knowledge or not. Knowledge cannot be applied without understanding the full picture. If someone is Shafi and the dominate madhab of the area is Hanafi. Then applying the Shafi school in that area is not applicable to anyone other than yourself. Send the person asking the question to the Hanafi's. This applies to all schools. Even between theological beliefs! One must know where the opposing opinion is coming from. Rather than say this is an opinion of deviants! Knowing the main differences of the Maturdis and Asharis is not difficult. This is something that can be read in one text! Most students of knowledge are hell bent on following their teachers, even in the mistakes they make. Most teachers are not qualified to teach. They make basic mistakes in knowledge and they are often very narrow minded. Not even aware of the major differences in their own schools never mind the opinions of the various schools. Who wants to find out? Who wants to admit that they are wrong! Who wants to admit they did not make the correct decision when they did not gather the knowledge correctly! Many teachers cannot explain the statements that they read in the books that they have studied! Many are just entrenched in cultural norms and back up their respective backgrounds. Worse still, they declare everyone a kafir except those who agree with them. True scholarship means giving the benefit of the doubt to all other scholars. Rather than declaring everyone, other than himself, misguided. Most teachers just read the text and do not explain it. They just read the book then qualify the student with a paper, pretending that taking knowledge is just listening to a book? When you cannot understand what you are reading? You have questions in your mind that cannot be answered, ever, because of your teacher does not know. Teachers are afraid of being exposed for not having knowledge and are threatened by teachers who are better than them. You will be surprised to learn that many teachers are no good, I am not joking. Most people are enemies of sacred knowledge or in another way, most people are enemies of the knowledge that was given to the Prophet (may Allah bestow peace and blessings upon him). This is the sad state of those in power of the masjids. Many of them are misguided and misguide others. Therefore, it is highly unlikely that you will find a good teacher in a masjid, because of the masjid committee. Dumber and dumber are not going to chose someone knowledgeable. Why? Because they are a threat to their power and anyone who is threatened, act like wounded animals. So they get substandard teachers from 'back home' who will accept £150 per week, because a proper teacher would never accept such a wage. This is why those people who have studied under a dars nizami course in the UK are merely beginners. I do not mean to insult anyone but I mean to provoke thought. Also do not expect those who have studied abroad to be better but how long have they studied and what. There are many students of knowledge but most of them are not sincere. How can I say this? Well, their actions make this very clear that they are just for the show and not for Allah the Exalted. Their insincerity means that they could study for years and not get anywhere. Part of this is the teachers, the systems and the students themselves. The ideal solution would be for people to recognise actual knowledge. Rather than recognise emotions and think its knowledge! Just because someone is famous does not mean their opinion is correct. Every scholars opinion is subject to being accepted or rejected. Depending on this is their opinion acceptable or not. Alternatively, whether it is within the bounds of the madhab that he follows and one of the two aquida groups, he claims to follow. If it does not fit in then it is rejected it is as simple as that. Following one scholar alone in disagreement to all the rest, is the path of misguidance. Why? Because sometimes a scholar will make an opinion in a certain time and place that does not apply in other places and times. Islam is not based on the teaching of one scholar alone. Does their opinion fit into their madhab of fiqh and aquida? If it does not then it is rejected and it does not matter how famous they are! People should find out if their teachers are any good and if the teachers of their teachers are good! The thousands of dars nazami students in the UK but most do nothing in advanced studies. Most have questions that have not been answered so they are unable to answer the questions of others. Most of the dars nizami courses in the UK are so watered down that there barely seems to be anything left. They study from three to five years and do not get anywhere. Why? Because a dumb teacher runs a dumb program and what is the result of that? Dumb students and now these guys are Imams and scholars or teachers? Is this a joke? Many programs do not cover enough subjects in detail to make adequate progress, never mind good! Many students are wasting their time studying because of this and most of all: students do not know how to study. Most students are not serious in their studies and get put off by the slightest thing. Before you enter a lesson, read the passage at least five times so you are familiar with it and then go to the lesson, not before. Some students do not put the requisite effort needed to become a teacher. So spend years unable to grasp the slightest thing. The state of knowledge is very sad because those who actually know are hounded and subject to abuse. We live in a time of ignorance when it (ignorance) is held in high regard and everything else is belittled. Where emotional speakers are given precedence over those who know actual knowledge. No one is interested in learning the basics. They want to learn about strange or rare things because of their lack of knowledge they cannot understand simple matters never mind complex ones. Learn your basics because they are the foundation because without a foundation you have nothing. If you want to see if a teacher is, any good, then look at their students and find out if they have sound knowledge. Scholars should make scholars and this is a great indication for you. Students become like their teachers after a time. Rarely do you find famous scholars with excellent students. A student of knowledge needs a sound grounding in Arabic, fiqh, aquida, Usul Al-Fiqh and finally tafsir. He should not be narrow minded. He might have to change teachers when he finds that they cannot explain the basics. Smug and arrogant scholars are not those who you should learn from. The best scholars might wear clothes that you do not expect but do not allow yourself to be deluded about how the scholar looks. Look at the knowledge and not the clothes! The intention of the seeker of knowledge has to be for Allah the Exalted. Not for the sake of their group or ethnicity. Only those who have a valid intention are truthful and thus successful. The latter group have lost (learned for other than Allah) even if their fame has spread across the land. An entertainer and a scholar are two different things. Entertainers are like magicians whose tricks amaze anyone but the learned. Real knowledge benefits, gives comfort and tranquility. People who are learning sacred law should become more intelligent and develop into a better person. If they are becoming more and stricter on others then they are focusing too much on the outward. Most of the important changes are made inwardly. Your faith is all inward with the exception of the affirmation of the tongue. We do live in a time where ignorance is knowledge and knowledge is ignorance. So these words might be falling on deaf ears. I really feel sorry for students who have studied for years and have not learnt the character of the one they are claiming to follow! As well as the time, they have wasted studying with people who are not qualified to teach! It is a sorry state to be in but it could change. Who should come forward to teach correctly? The one with the most qualifications and not the one who agrees with the boys club (masjid) committee board. I know many students who have studied for years but have not got anywhere. Some want to study with personalities and go abroad for them but are shocked when the personality has no time for them. These types of students will not go anywhere. Scholars are available in an area but no one studies with them? How strange? If you where to listen to the speakers about Ahl Al-Bayt you would think they would be devoted to him. Instead the opposite is true, they do not support or help the Ahl Al-Bayt, yet claim to support them? Its a fabricated lie, no one supports Ahl Al-Bayt, not a single person in any masjid committee or madrasa. I am not joking because I have seen this with my own eyes. I could even name the people here and you would be shocked, because you would be familiar with the personalities. I see the same things happen up and down the country. 'Show boating scholarship' by having dars nizami of a person who not qualified to teach. Teachers and madrasas which are hell bent on taking your money and not hell bent of providing value for money. Then weeping before everyone about hiding knowledge when they are actually hiding knowledge! We do not need such fools and they should go back to their homelands. Where they could never teach anywhere except their own homes! I would recommend that everyone read the book of knowledge by Imam Al-Ghazali (may Allah show him mercy) and you will see who the true scholars are. Know there are things that you might not understand straight away but it will take time. Do not be fooled by those who have gone abroad for a few years or studied for a short time. Most who study for a short time are not an authority in anything, rarely is this not the case. Most students have a mindset that filters everything they hear except that which fits into their mindset. Consequently, they do not learn correctly and are fatally flawed. Read the book of knowledge by Imam Al-Ghazali! Even if you have already done so, do it again. Things have not changed much since his times. Everything he wrote about rings true today. True teachers are humble and if they could teach you free, they would. Students need to be ready for intense periods of studies when they are learning. Students need to learn how to be a student. See link to advice for the seekers of knowledge. Read Talim Al-Ta'alam by Imam Zarnuji. Be a true student before dreaming about being a scholar. First things first, the whole debate of which is the correct term to use: convert or revert. It really is a pain in the lower pelvis! "Every child is born upon fitra then his parents make him Jewish, Christian or a fire worshipper." The hadith talks about the person's innate state, which is called fitra. A person fitra state is to believe in God/Allah and in the world believe in the Messenger is added. This depends on the time that they are born and the Messenger/Prophet who was alive or whose message was present in that time. This fitra belief system is innate in human being. It can be covered up by the affects of their environment but it is never fully removed. So the term revert is not correct because the declaration of faith/shahada affirms monotheism and Prophethood. Yet the indication here is that there is no affirmation of Prophethood because that was dependent on the time in which the person was born. "So be firm in directing oneself to the pure religion; the nature/fitra that Allah created people upon does not change; there is no changing the creation of Allah; this is the ancient religion yet most of the people do not know." Be firm, meaning make your entire purpose, to religion, purify your religion for the sake of Allah; according to Sa'ed ibn Jubayr. 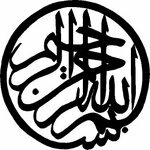 Hanafiya meaning pure monotheism that was taught by all prophets. Fitra does not change and this according to the above is unchangeable. (Allah the Exalted said) "Am I not your Lord?" They said, "Yes you are." Allah (the Exalted) gathered humankind and Jinn then asked then if He was not their Lord and they replied yes. Therefore, this is the innate fitra of monotheism and with the seed of belief with the Prophet of their time. So can you call someone a revert? A revert linguistically means returning to a previous state. A convert is moving to another state. Here is the confusing thing that either term has some proof to it. They convert by adding Prophethood and they revert to their previous monotheist state. Both have some truth but I would rather drop both terms from common usage. Why? I feel it has become a derogatory term to refer to those who are not ethnic Muslims. They were not born Muslims from Muslim parents. When someone has accepted Islam then there is no need to 'label' them with either term. That person is Muslim now and none of the rest of the revert and covert debate is worth having. Yet we will look into some proofs about this and see where this leads us. This verse is also a proof against any of the aforementioned group claiming there is no god because they have already admitted it before they were created! So they have no excuse, even if the message has not reached them. Please read article about Dawah. You could call those who have just entered Islam as new Muslims but even this term is strange. So why not drop them both. This is the most important part of Muslims life. Especially someone who has just entered Islam. You will soon learn (after reading a single book) that you have more knowledge than most born Muslims. Partly because many Muslims are not interested in learning and have not attained any interest during their formative years. Rather than look down on such people you should try to spread your knowledge because pride is like pouring acid over ones knowledge. You need to learn a lot, so be prepared for the important things that I will tell you. Know that there are many groups and they all have different opinions. So this will confuse you a lot and there is nothing you can do about it. I know there should not be so many fragments but here we are. Stick to the majority who are the Sunnis and even then know that most disagree. Learn from the person who explains things to you, rather than tries to indoctrinate you. Do not rush anything that you have to do. First get one prayer (of the five obligatory prayers) right then when you are ready add another until you get all five in. Then add witr (wajib - after Isha) and then the following Sunnahs: two before Fajr, four before Zuhr, and then whatever Sunnah you wish to add. Do not rush to do all the prayers at once. For most people it will scare them and they will not be able to hack it. It is not a race it is a marathon - so take it slowly. Be the tortoise not the hare. Find a teacher of one the four schools of Sunni law (Hanafi, Shafi, Maliki or Hanbali) and then try to study aquida Tahawiyyah (few times). Do not be sacred to ask a question, I know many are. Apply knowledge slowly too and do not rush. Satan is the one who makes you rush into doing many good things at once. Then when you get tired, you run out of energy! So now, you cannot do anything and that is what he always wanted. Early on in Islam, wine was prohibited when approaching prayer and then it was from everything. If one is addicted to alcohol or even pork, then try substitutes and give them up. I am not saying that they are allowed because you have to give up. What you should do is allow new Muslims to make mistakes and allow them time to remove the unlawful. Know that a Muslim who commits a major sin is still a Muslim according the majority of scholars. So if a new Muslim drinks, then give them time and room to quit. If a Muslim commits major sin then you should do your best to refrain yourselves and remove the haram from their lives one at a time. Please click here for an article on halal and haram. Allow yourself time to grow into the religion. Things like prayer are paramount but do not think that you have to change your clothes! You may have to modify them, depending if you are a male or female. Clothes should be modest, cover ones nakedness (appropriate to your gender) so not flesh is exposed. Women are obligated to wear hijab but its more than that. Please click here for article on hijab. This is very difficult for women to do. Mostly because of the added attention that they will get from Muslim men. Muslim men, for some reason, look more at women with hijabs that those without, stop it. Leave them alone. Take your time with hijab and when you are ready go for it. You could also wear other fashionable headwear that fulfils its purpose, in the time being. Now, this is where the mistakes are made. I would recommend that new Muslims should avoid marriage for at least two years or until they are firm in religion. This is especially for women and maybe not so much for the men. Do not worry there will be plenty of suitors for you. The females have to be extra careful because there men dreaming of marrying a new Muslim women. Some will go to many lengths to do this. By feigning righteousness and wealth, to achieve their goal. You, as a female, need to take a friend with you, even one of your families and meet in a public place. Take your time and chose someone who is right for your religious level or someone who inspires you. Meet them over a long period and if you get married do it within English law too. Do not marry the first dribbling man that comes to you. Marry the one who is not going to die if you are not going to marry him! Maybe that is an exaggeration but women need to be careful. Click here to see advice about marriage. Inevitably, you are marrying into a family, so this might be more difficult for you that you might expect. Even if the man you are marrying is open minded, it does not mean that his parents are. Often born Muslims do many things that they are not allowed to, so bear this in mind when you spend time with the dreaded in-laws! You still have to maintain family ties with your parents and have them meet families. Yusuf Islam accepted the choice of his mother, who was non-Muslim, for his future wife. Culture is something that will crop up repeatedly, if you marry an ethnic Muslim. I personally think new Muslims should marry each other and support each other. As they can understand what each other has been through. I also think there is greater chance of success in maintaining a successful marriage. Marriage is difficult enough without additional difficulties. This is another potential banana skin. This is one reason why I would recommend new Muslims marry each other because there is no culture clash. This can be positive or negative depending on whatever background your spouse is from. Often Islam says one thing and culture dictates something else and its not as clear as it should be. If you are near the indo-pak community then expect invites to spicy food, so keep a glass of water handy, or should that be a jug? Most families are welcoming but you might find some individuals who are not. Thats a sad fact of life. Others might expect you to dress in a certain way or into traditional dress of their people. Halal clothes are any clothes that are not see thru, tight, and protect one from the elements. Now that my tribe has the only halal clothes and so on. There are also cultural scholars who are the worst type of speakers. I do not consider them scholars if they belittle knowledge. They are often narrow minded, how strange! Some uneducated people think the only Muslim people are they own tribe. Substitute the word tribe for any race or nationality of Muslim. Some may even say one cannot be Muslim if they belong to western race. Which is course racism and its totally unlawful in Islam. Anyone from any background can become Muslim, their past does not matter. The Prophet (may Allah bestow peace and blessings upon him) disliked any nationalism, and the only way that one Muslim was better than other was by peity/Taqwa. Not all culture is bad but all religion is good. This is a different one because many parents will not be able to understand why their children have become Muslims. They are might even see it as treason. In any case, they need time to get used to the change, so try to be kind. This might be more difficult for some and less difficult for others. However, a good parent will want to see their children happy. Therefore, if they see happy then another religion will not seem so bad. This is a difficult transition for both sides, so bear that in mind. One of my friends said that they should not tell their parents until later. Rather make a slow transition like becoming vegetarian. Let them find out by seeing a change in you, instead of telling them. Leave a prayer matt out, show your parents more respect and so on. This can be more positive for you. I have heard of parents throwing their kids out and even disowning them. One parent is normally more receptive than the other. Now you have made the change then continue on this path. You have made the correct choice. There will be better days than others. You will come across shocking things. Many Muslims do not live up to expectations. Do not be surprised about how bad things are. You will not find that perfect Muslim, so keep your hopes in Allah (the Exalted) strong. Know that when anyone accepts Islam then their sins are all removed except monies owed to people. They normally get two rewards: one for following previous religion and now for following Islam. You will struggle for a while, especially at the beginning, but things will become clearer after a while. Take your time and welcome to your new life. Madrasa education: What is wrong with it? Blame it on the Muslims?